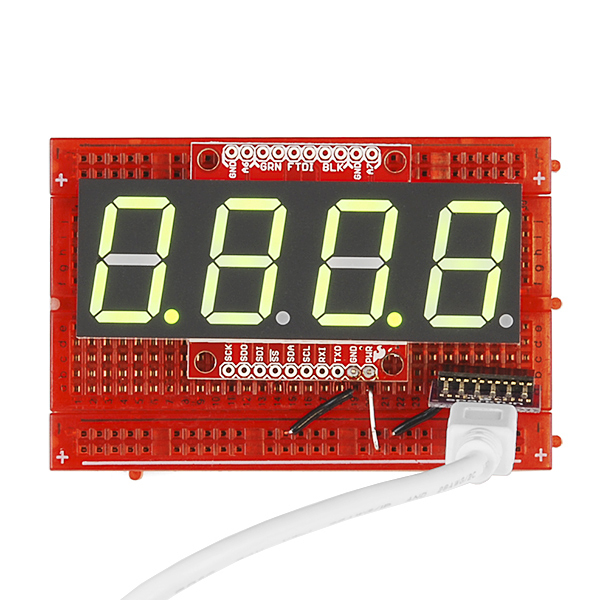 OpenSegment makes it easy to add a large 7-segment display to your project. Because larger 7-segment displays pull more power than a microcontroller is able to drive directly, the OpenSegment has 8 PNP and 4 NPN transistors in order to drive the segments at their maximum brightness! 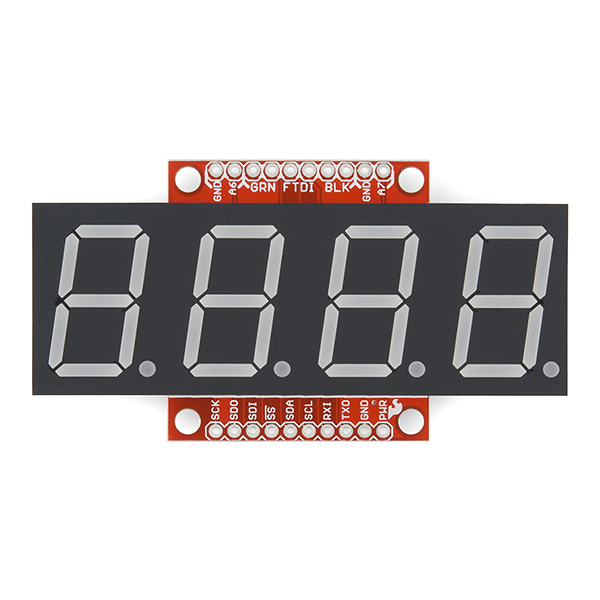 The on-board ATmega328 receives data over multiple digital interfaces (such as TWI, UART and SPI) and does all the PWM and upkeep of the display so your main controller doesn't have to. 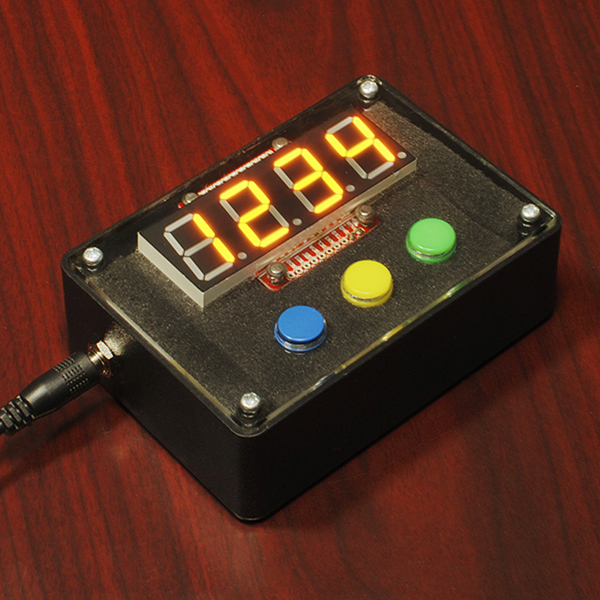 There are even two built-in functions that can be activated with solder jumpers. The counter function simply counts up or down, incrementing when you pull down SDO and decrementing when you pull down SDI. 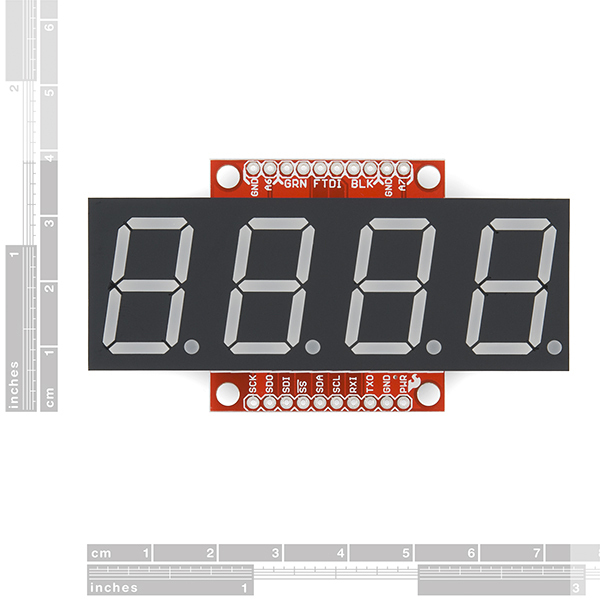 The meter function gives you a voltage read-out of the ADC! 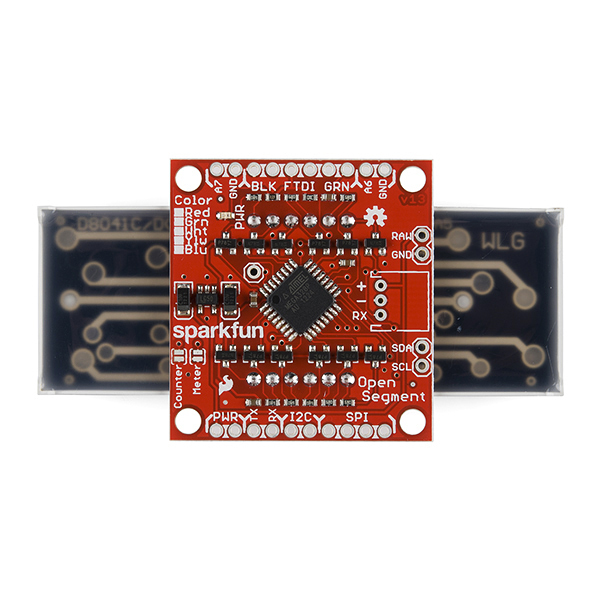 OpenSegment runs at 5V and uses a standard FTDI connection for programming. The board is pre-flashed with a bootloader compatible with the Arduino Pro Mini @ 8MHz setting under the Arduino IDE. This firmware is an updated version of the Serial 7-Segment firmware designed to run on both devices. 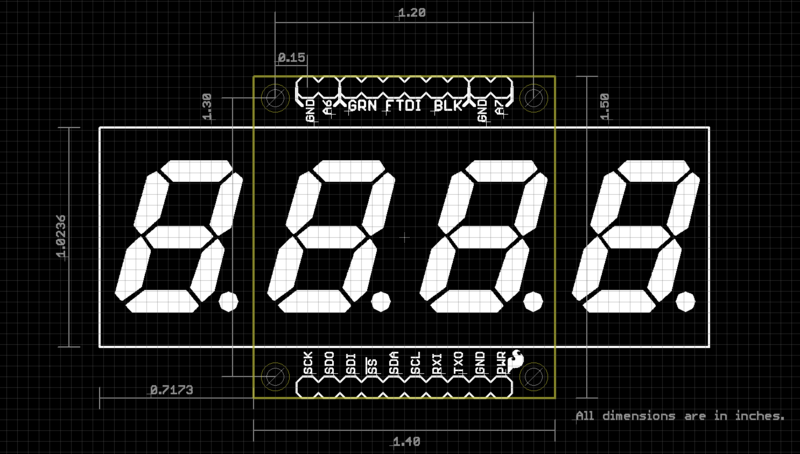 The commands will be largely the same except, of course, that this display only has decimals and no colon. See the datasheet for the Serial 7-Segment below to get an idea of the serial command set. If I'm displaying 8.888, at maximum brightness, with a 5V supply, how much current does this pull? I don't have a green version handy but the white version pulls 190mA @ 5V with all segments on at full brightness. So, how tall are these? It does not show anywhere. Sorry! 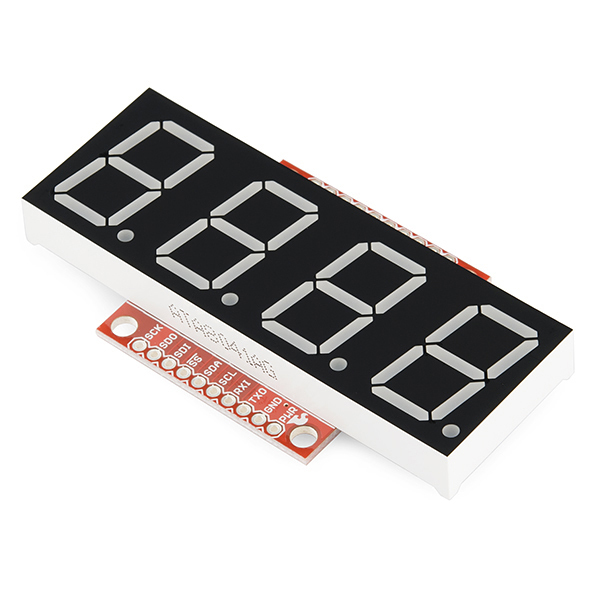 There's a image with a ruler border, but to answer your question: the display is about 1" tall with digits that are 0.8" tall. The backpack PCB is 1.5" tall and 1.4" wide. The display does all the work for you, just send it code.